The Co-creators of a Linux distribution that allows you to harness some of the most powerful open source security software join us to discuss bringing Enterprise grade security to the masses. 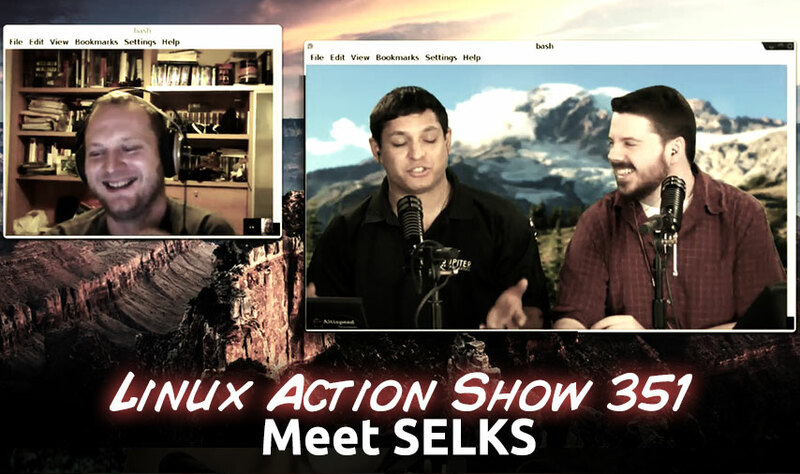 Plus building your own ideal Linux laptop, the Yolla Tablet surprise & more! Stamus Networks believes in the innovative power and flexibility that Open Source Software posses. It also offers independence and great adaptability — critical when building security products you can trust. But taking from the community is not enough if you want more common good to emerge. This is why Stamus Networks makes its best to contribute back to the Open Source idea. The main part of our contribution back to Open Source is our two projects SELKS, a live and installable ISO implementing a ready to use Suricata IDS/IPS, and Scirius, a web interface dedicated to Suricata ruleset management. SELKS is both Live and installable Network Security Management ISO based on Debian implementing and focusing on a complete and ready to use Suricata IDS/IPS ecosystem with its own graphic rule manager. From start to analysis of IDS/IPS and NSM events in 30 sec. Meet Professor Brad Nelson, a pioneer in the field of nanorobotics who’s developing tiny robots to go places almost beyond our imagination. The virt-manager application is a desktop user interface for managing virtual machines through libvirt. It primarily targets KVM VMs, but also manages Xen and LXC (linux containers). The Free Software Foundation (FSF) today awarded Respects Your Freedom (RYF) certification to the Libreboot X200 laptop. The RYF certification mark means that the product meets the FSF’s standards in regard to users’ freedom, control over the product, and privacy. The free app allows you to view Open Document files (.odt, .odf, etc.) and a number of alternative and proprietary file formats, including the ubiquitous .doc and .docx, on an Android smartphone or tablet. The app is available to download from the Play Store today. The Jolla Tablet, has returned to Indiegogo.com. After the successful first phase of our Indiegogo campaign in Nov-Dec last year, we’re now moved to the next phase, and continuing our campaign on Indiegogo at least until the end of February 2015. Open Lunchbox is the latest project attempting to do an open-source laptop design. Open Lunchbox is trying to do their laptop project in a modular, open hardware design.